Music and art meet burgers (or fried chicken, if that’s your poison) at Mürger Art. DJs Gayoncé Rose & FEDEX provide the tunes, artist Javier Domenech paints live and Dirty Burger flips the patties. 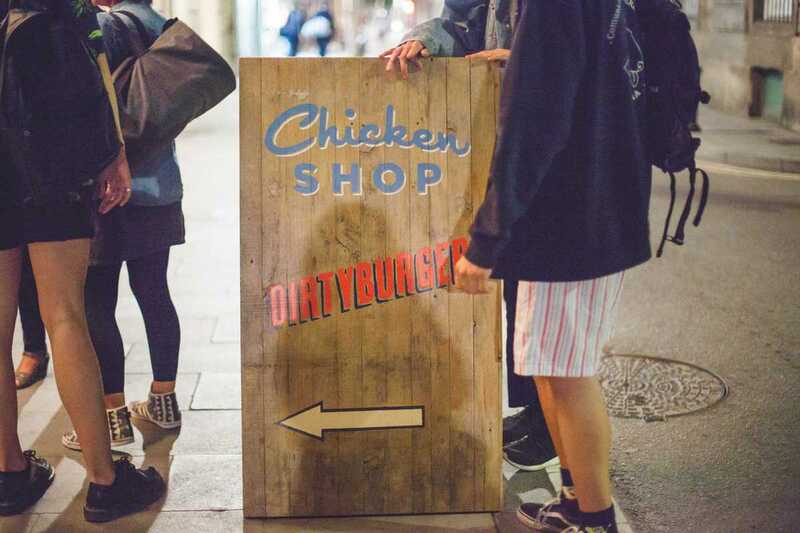 Rub shoulders with thirtysomething creatives from the neighboring Soho House (and Chicken Shop + Dirty Burger’s owners). Post a photo to their Facebook with the requisite hashtags, like their page blah blah and you might win the painting of the night.